“Revolutions are, as a rule, rare and momentous processes”, but across the African continent the potential for a clean energy revolution which upsets and leapfrogs the old fossil fuel order is ripe. Globally, clean energy technology has developed at such a rapid pace that a predominately clean energy future which brings energy access to all is not only possible but even profitable. Africa has within its reach a future that creates a home-grown, robust, clean energy economy which keeps jobs and money on the continent while saving significant amounts of money on energy costs. In the face of this reality the fossil fuel industry and their cheerleaders are trying to peddle the myth that “Africa” simply can’t develop without incredible amounts of fossil fuels. The latest salvo in this PR affront comes from the Danish political scientist, and fossil fuel cheerleader, Bjorn Lomborg. In his latest article Lomborg uses a curious combination of cherry picking to sell the idea that a fossil fuelled future is in Africa’s best interests. As an actual African, who cares both about Africa’s future, providing access to energy, and addressing the impacts of climate change, I thought it was important to address Lomborg’s PR spin and show why Africa doesn’t need Lomborg’s fossil fuelled vision of the future. In Lomborg’s piece he chooses to cherry pick just one scenario of many provided by the International Energy Agency (IEA), and then uses that as the basis of his case for an African century of fossil fuel energy. By doing so Lomborg simply ignores other projections which not only provide more energy access, but do so using predominately clean energy in ways that would prevent significant social, health and environmental impacts, and likely lead to reduced energy costs for the African continent. Consider for instance, IEA’s Energy for All scenario which aims to provide universal access to energy by 2030. Relative to a base case where in 2030 close to 1 billion people still remain without access to electricity, the International Energy Agency projects that achieving universal electricity will increase 2030 electricity demand by just ~4% above the base case level. Importantly, due to the grid extension costs associated with providing access to rural residents who make up 84% of those without access to energy, only 35% will come from fossil fuels under the IEA scenario, with the rest coming from renewable generation sources such as hydro, wind, and solar. Furthermore, as the important work of the Carbon Tracker Initiative adeptly highlights, the rapid emergence of renewable energy has made it likely that we can move towards scenarios in which Africa has a future dominated by cost-effective renewable, low-carbon electricity. For instance, the IEA’s 2°C compatible hi-Ren Scenario shows that Africa can generate more than 80% of its electricity from low-carbon renewable sources by 2050. What’s important to note about this scenario is that while it requires significant upfront investment, in the medium-to-long run the costs are approximately offset by fuel cost savings provided by clean energy, never mind all the other social and economic benefits that come with clean energy. What’s more the IEA is renowned for consistently underestimating the speed and cost-effective nature at which clean energy can be scaled up. Thus, chances are that more than just offsetting the costs of investment, a renewable energy future will result in significant economic savings and growth for the African continent. For instance, the Solutions Project, led by Stanford University’s Marc Jacobsen, has developed a path to 100% renewable energy for South Africa. Compared to the fossil fuelled alternative it provides annual energy cost savings of $549 per person, alongside annual energy, health, and climate cost savings of $6 682 per person. That brings us to Lomborg’s next piece of spin. Lomborg claims that “one day, innovation could drive down the price of future green energy to the point that it lifts people out of poverty more effectively than fossil fuels do.” The implicit suggestion is that “one day” is not today, but contrary to his suggestion that day is already here. As the world-renowned energy expert Amory Lovins points out, “worldwide, renewables in fair competition (no subsidies and no corruption) generally cost less than any other new electricity source and many existing ones” (that’s including nuclear power, President Jacob Zuma). 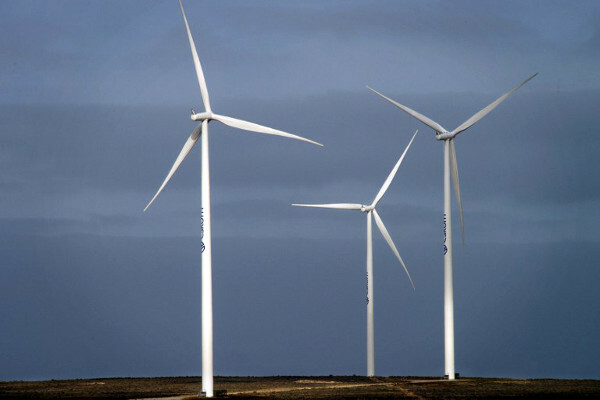 Confirming Lovins’ claims, back home in South Africa our Centre for Scientific and Industrial Research (CSIR) has shown that wind is already providing energy 40% cheaper than coal, such that wind energy had produced a net saving for the country of R1.8 billion in the first half of 2015. Collectively the CSIR study showed that wind and solar saved R4 billion from just January to June in 2015. What’s more energy poverty is primarily a rural phenomenon, and while coal is already being out-competed by clean energy when providing energy to areas connected to existing grids, coal becomes even more expensive when we add the significant grid extension costs needed to access rural communities. Thus, to borrow Jigar Shah’s words, evidence from around the world suggests that “energy is starting to look a lot like mobile phones as distributed solutions leapfrog outdated and ineffective centralised networks”. What’s more the benefits of clean energy are not just being realised in cost savings, and increased access to energy. They are also being realised in significant benefits for local communities. In the Eastern Cape of South Africa, where I lived for close on a decade, the cost-saving wind power projects that are dotting the province are reinvesting significant portions of their income to helping educate and support local communities. These projects provide a compelling counterpoint to places like the Mpumalanga highveld, where even communities in eyeshot of coal power plants are overlooked by the grid, and thus lack access to energy even while coal power pollutes their communities and causes devastating health and social ills. This is just one example of many across the African continent where fossil-fuel based economies have overlooked poor communities, leaving them with the costs and harmful impacts of extraction and very few of its benefits. As World Bank figures demonstrate, half of sub-Saharan Africa’s citizens live in resource rich, mineral and/or hydrocarbon-dependent countries, yet many suffer from the resource curse where the vast majority of the benefits of a fossil fuelled economy rest in the hands of elites, multinationals, and overseas accounts rather than with local communities. Thus, rather than following Lomborg’s vision of centralised fossil fuel economies which promote cronyism, corruption and problematic centralised power structures that often overlook the poor and marginalised in society, isn’t it time that the African continent embraced the potential of a clean energy revolution, which could not only distribute power more equitably, but would also provide cheaper energy, more energy access, cleaner air and water, and create many more jobs than the fossil-fuelled status quo? It is worth ending by problematising Lomborg’s treatment of Africa as a monolith and challenging the lack of nuance with which he approaches this diverse continent which consists of some of the fastest growing economies in the world. Isn’t it time we moved passed “dark” continent rhetoric and realised the incredible opportunity that lies in building a home-grown clean energy revolution, one suited to the diverse and myriad circumstances facing the range of countries across the African continent? Alex Lenferna is a proudly South African Fulbright and Mandela Rhodes Scholar currently pursuing a PhD in philosophy at the University of Washington focusing on climate justice.